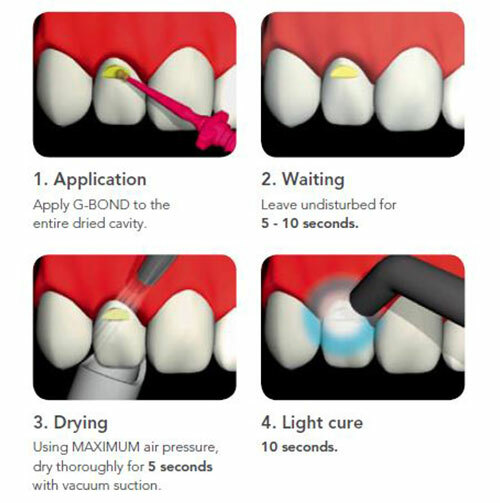 G-BOND is an easy-to-use self-etching light-cured adhesive. 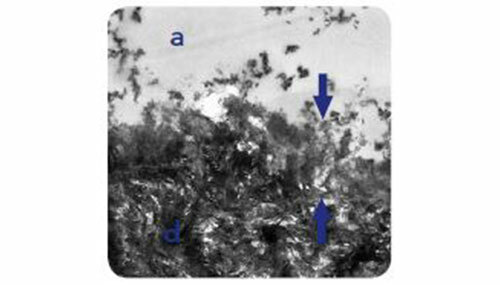 It utilises both chemical adhesion and micro-mechanical retention principles to form a unique and stable nano interaction zone (NIZ) with the dentin. At the same time, it also offers a reliable adhesion to enamel. Several clinical studies (including one with 9-year follow-up) have proven its extremely good performance in time. The arrow indicates the interface which is unique to G-BOND. Hydroxyapatite is left around the collagen fibres to provide the basis for chemical bonding without collagen degradation. Bond strength testing is conducted via many different methods which will result in a wide variation of bond strength results. 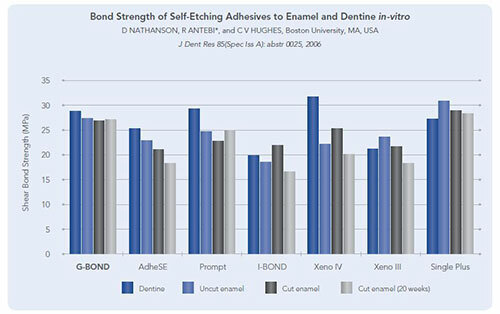 Of great importance is the ability to maintain good bond strengths through stability at the tooth interface.